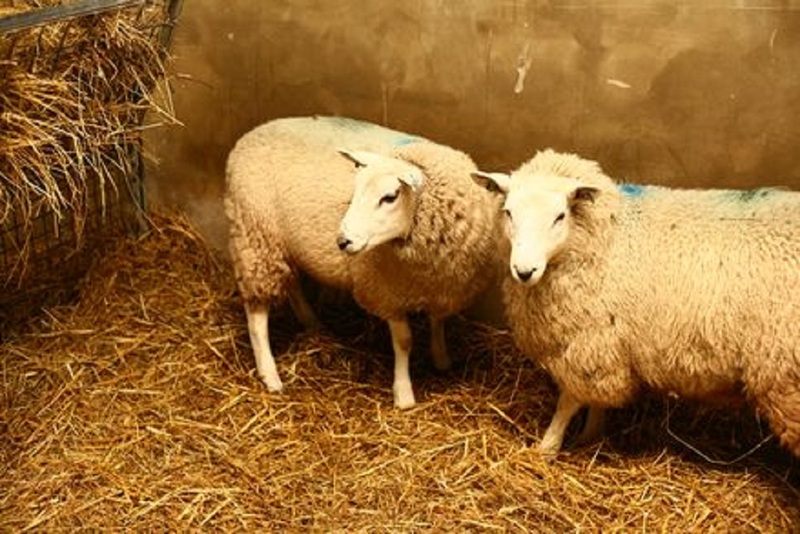 A group of Australian and American researchers have used sheep to develop and test a new device (original paper) – the stentrode – for recording electrical signals from inside the brain. The research was published in Nature Biotechnology. This new technology removes one of the main obstacles to developing efficient brain-computer interfaces: the need for invasive surgery. The “stentrode” is a group of small (750 µm) recording electrodes attached to an intracranial endovascular stent, which allows implantation of the electrodes inside the brain without invasive surgery. This allows high quality recording or stimulation of specific areas of the brain, without many of the risks associated with invasive brain surgery. A stent is a tube-shaped device whose walls are made from a metallic mesh, designed to navigate inside brain’s system of blood vessels, until a desired position is reached. 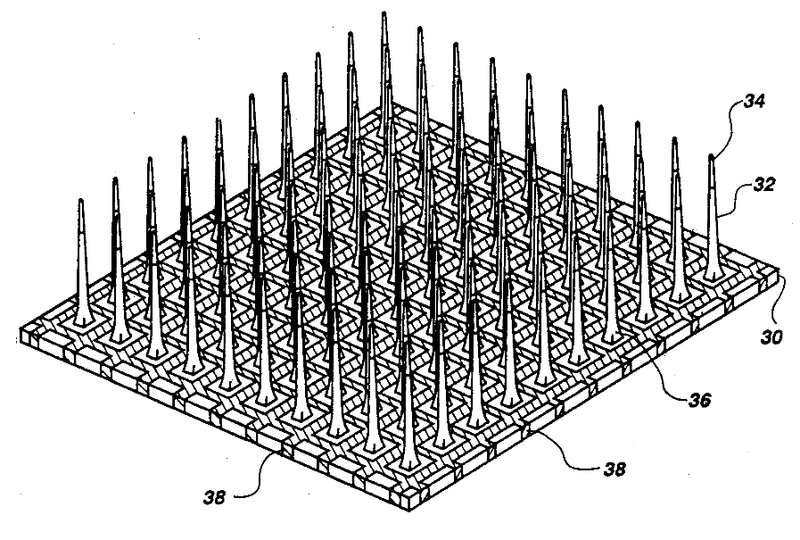 Once in place the mesh is expanded, securing it against the blood vessel walls. Importantly, stents are designed to be implanted by inserting them through a large blood vessel, like the jugular vein, and gradually “pushing” them into the desired position, by twisting and turning at critical juncture points where veins branch. During this implantation procedure the surgeons observe the stent’s location using a non-invasive imaging technique named cerebral angiography. Recording the electrical activity of brain cells with high fidelity is the basis of new technologies to restore quality of life to many people with neurological diseases. For example, through brain-computer interfaces that interpret neural signals, people paralysed by damage of the spinal cord have been made able to control external devices, such as wheelchairs, robotic arms, and exoskeletons. Much of this work was initially done in monkeys– getting them to also control wheelchairs and robotic arms. Moreover, brain recording devices can be used to detect the timing and location of seizures with great precision, which helps minimise damage to healthy parts of the brain when treatment involving surgery is necessary. One obvious problem with the current technologies is that there is a clear trade-off between the quality of recordings obtained, and degree of invasiveness. 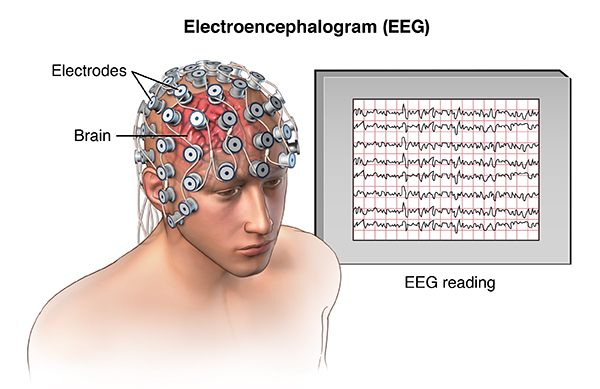 To explain this, let’s look at two extremes of techniques for recording brain activity – electroencephalogram (EEG) and microelectrode arrays. EEG, recording from the scalp, is by far the least invasive technology: electrical activity of the brain can be recorded through a cap dotted with electrodes, and no surgery is required. However, because the signals being measured are so weak (due to the distance between brain cells and the recording electrodes), this technique can only detect the combined activity of millions of brain cells, when they work at the same moment (signals from small groups of cells tend to average out, not producing an electrical “spike” large enough to be detected far away). Thus, devices controlled by brain-computer interfaces based on EEG tend to be difficult to control, and have few “degrees of freedom” (how many different actions can be specified by the user). Moreover, it is difficult to determine exactly where the signals of interest are coming from, and electrical activity from regions well inside the brain is much harder to detect. At the other end of the continuum are recordings using microelectrode arrays- small devices that are implanted directly in the brain, which contain many small metallic probes each capable of “listening” to the electrical activity of a single neurone, or a small groups of neurones. This technique, developed over many years of studies in rats, cats and monkeys, has been used recently to demonstrate the ability of a tetraplegic patient to control its own muscles again, using a brain-computer interface which included a microelectrode array to record the signals that encoded the participant’s intention to move, coupled to stimulation devices attached to different arm muscles. Much more refined control can be achieved with this method, as one can potentially record individual signals from thousands of neurones, across many brain areas. The disadvantage, however, is clear: these devices have to be implanted directly in the brain, requiring complex neurosurgical procedures. Moreover, the insertion of the electrode arrays in the brain causes local damage, which triggers inflammatory tissue responses that, over time, can reduce the quality of recordings. Although this damage can be minimised by using larger electrodes that lie on the surface of the brain, instead of penetrating it (electrocorticography, ECoG), the need for invasive surgery remains. As we can see, the stentrode has the potential to be the best of both worlds – offering the accuracy of microelectrode arrays and the benefits of avoiding non-invasive surgery usually associated with technologies like EEG. Part of the problem solved by the stentrode developers was to find an adequate animal model, which would yield information valid to the situation of the human brain. Sheep were chosen due to the similar topology of the brain’s venous system, and the similar diameter of the critical blood vessels. The stentrodes were implanted inside a large vein that lines the somatosensory cortex – the part of the brain that encodes sensory information about touch, as well as muscle contraction and position of the body’s joints. Importantly, once implanted, they stayed in place without damaging the brain or blood vessels, and allowed stable neural recordings for over 6 months – while the sheep were freely moving around. Stock image of sheep in research (in the UK) by Understanding Animal Research. Currently envisaged applications of this new technique include “reading” signals for control of artificial limbs and seizure prediction in epilepsy. With some modifications, the same technique can be used for localised electrical stimulation of the brain, which may allow new treatments for Parkinson’s disease, and obsessive-compulsive disorder. 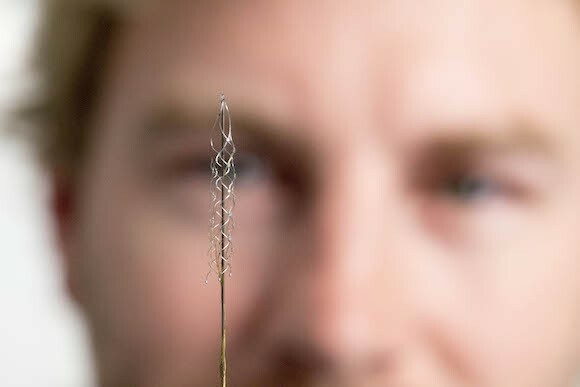 Deep Brain Stimulation, a currently used treatment to treat the tremors associated with Parkinson’s, requires invasive brain surgery to implant electrodes – this process could be made easier and safer using stentrodes. Besides being good news for people who may one day benefit from an easier way to have electrodes inserted in the brain for treatment of diseases, this story also illustrates two important points. First is the usefulness of animal models to develop treatments that directly benefit people. The sheep brain is not identical to the human brain, but can be judiciously used to model a critical feature of the latter, in a manner that is directly relevant for testing a device intended for human use. Second, that results take time to translate from basic research in animals to human use. The current generation of brain-computer interfaces would never have been developed were it not for decades of research on seemingly “basic” topics, such as how to best record different types of electrical signals from the brain, how and where the brains of various animals encode information for sensation and movement, and how blood vessels are organised and function. This is however just the beginning, and a lot more needs to be done on the way to useful and safe devices. Posted on August 22, 2016 August 22, 2016 by EditorPosted in News, Science NewsTagged EEG, electroencephalogram, neural recording, sheep, stentrode.